The Pinetop-Lakeside Chamber of Commerce is compiling the 2019 Discover WMAZ Coupon Book to help brings locals and visitors to your place of business. 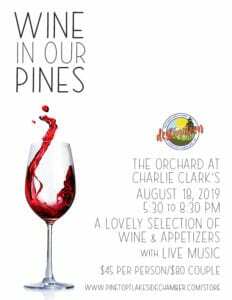 We invite all White Mountain businesses to participate. The coupon book will contain at least 150 coupons, with one business featured on each page. As a local business, you may create any offer you choose, but all offers will expire on 31 December 2019. 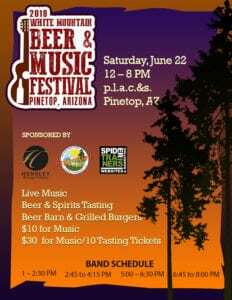 If you are a Pinetop-Lakeside Chamber of Commerce member, there is no charge to participate. If you are not a current member, you may place your coupon for just $50—or take this opportunity to renew your membership! 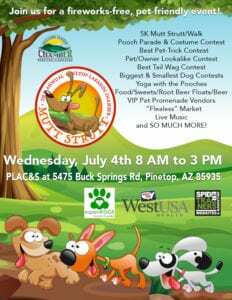 Complete the form on this page to submit your coupon or email your offer to mechelle@pinetoplakesidechamber. All coupons will be created by our staff and will include your logo and offer—no custom art will be permitted. Here is an example of a coupon. 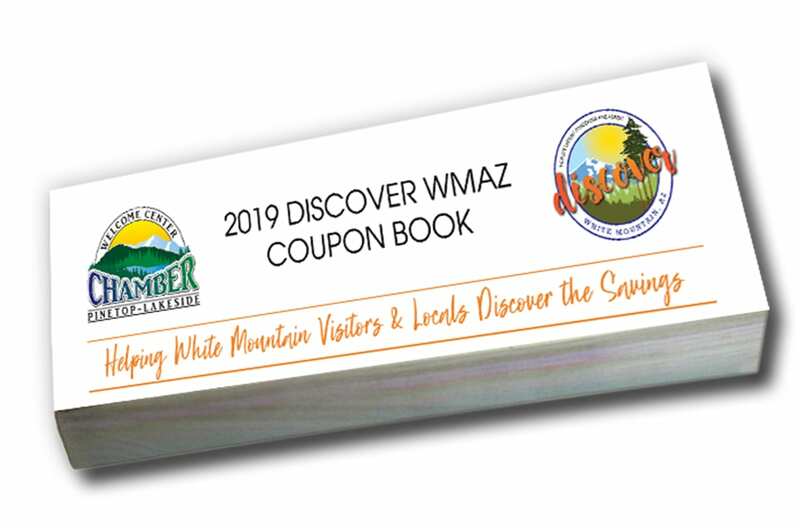 The 2019 Discover WMAZ Coupon Books can be purchased at the Pinetop-Lakeside Chamber of Commerce Welcome Center, at any chamber-attended event, or on our website for $20. We will also offer the coupon book as a bundle with the Discover White Mountain Arizona Cookbook for $39.95, both of which are tax-deductible donations to the chamber, a 501(c)(3) nonprofit. If you would like to place a coupon in the 2019 Discover WMAZ Coupon Book, please complete this form. We will provide a proof of your ad for your approval. Yes, I am a current member. I would like to place a free coupon. No, I am not a member. Please invoice me for $50. No, I am not a member, but I would like to become a member. Do you have any other questions, comments, or special instructions?